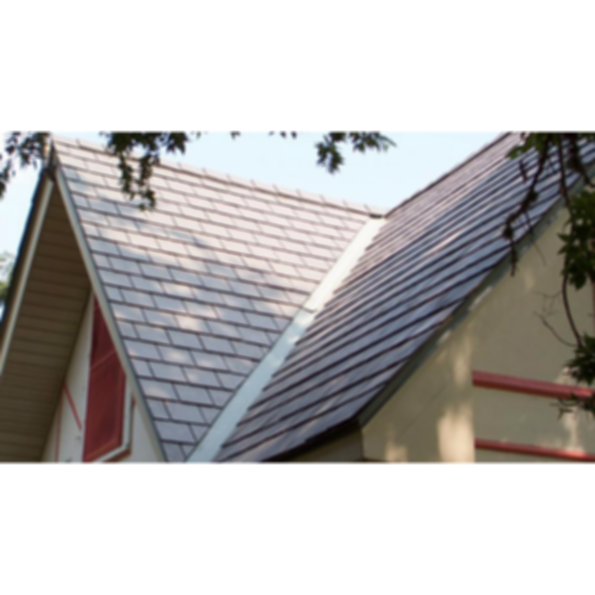 Sleek and light, our authentic looking, slate roofing panels are designed for exceptional durability and style. NEW & IMPROVE! MAXITILE® roofing panels are built to save you money! Our NEW Slate Panels are 4-foot long, staggered or straight roofing panels, used to minimize labor and time on a project without losing the realistic feel of slate. Ideal for European architecture, our Slate Panels give the appearance of the finest grained, foliated rock possible, but without the high cost of traditional slate. Long-lasting, durable slate panels are the best way to save money on your project.